New York, Milan, Paris… Every six months these cities welcome the creative whirlwind that sets the heart of the fashion world pounding. An incredible amount of preparation goes into the celebrations of design and creativity known as Fashion Week. Join us for a look behind the scenes in our latest themed series. Whether it’s in Milan, New York or of course Paris, Fashion Week is the one event that fashion professionals would not miss for anything in the world. But what exactly goes on before the silhouettes are sent down the runway? How are the collections and shows prepared? And what happens when the bright lights go off and the creative tension drops a notch? 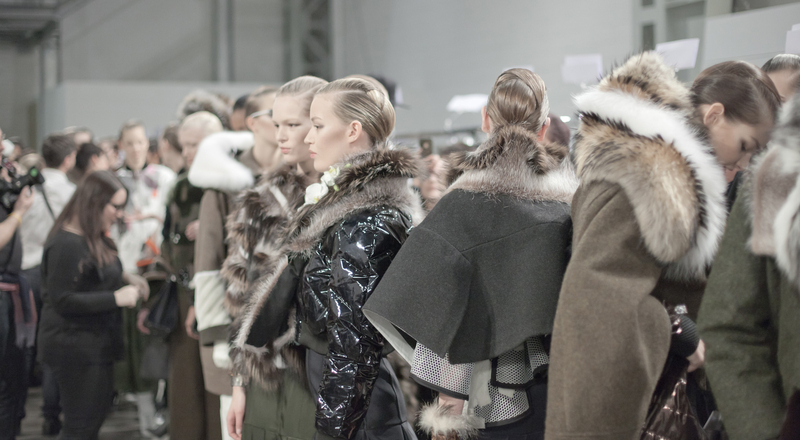 Five articles invite you behind the scenes at Fashion Week. We’ll start in Milan, where Fendi reveals the creative process that culminated in the looks designed by Karl Lagerfeld that unfailingly win enthusiastic praise from critics. How does a show take shape? How do you create the unique atmosphere that defines the presentation? Kenzo has always delighted its audience with both uncommon venues for its shows and amazing staging. The brand gives us a glimpse at how the event is conceived and crafted, working closely with the Kenzo design duo. Next comes the show itself. These exceptional events are eagerly awaited by the entire fashion world. Named creative director of Louis Vuitton in late 2013, Nicolas Ghesquière sent out a first collection for the brand that more than lived up to expectations, generating an enthusiastic response. Then, after the lights have dimmed it’s showroom time. We visit the confidential places where buyers from around the world jostle to unearth the piece or look set to become next season’s hottest item. We had a chance to follow a buyer from Le Bon Marché as she visited showrooms from Céline and Maxime Simoëns to Givenchy. She presents this lesser known but absolutely strategic aspect of Fashion Week. Lastly, Sebastian Suhl, President of Givenchy, shares his personal vision of Fashion Week, a creative climax and decisive period for a couture house in terms of both image and business. From the runway to the delivery of the clothes to stores, he talks about the challenges behind success during this high point of the fashion year.